Sigrid Stromstad Laming was born in Baerum, Norway in 1897. She was one of the famous skiing Stromstad family which included her twins sisters and two brothers. All five of them were great skiers in Norway, great at ski jumping, cross-country and alpine. Sigrid became the First Woman Champion of the National Ski Association in 1952 when for the initial time women were permitted to enter the National Ski Championships held at Lake Tahoe, California. These events were under the sponsorship of the California Ski Association, now known as the Far West Ski Association. Sigrid was also an excellent ski jumper with a known leap of 32-meters. She won numerous events in Europe before coming to America in the mid-twenties. Had downhill racing been an event for women, it is probable that she would have been a formidable competitor. The honor for having staged the first national skiing championship that women could enter and for having the first woman to win it belongs to California. The credit goes to the Auburn Ski Club which was represented by Sigrid at age 35. 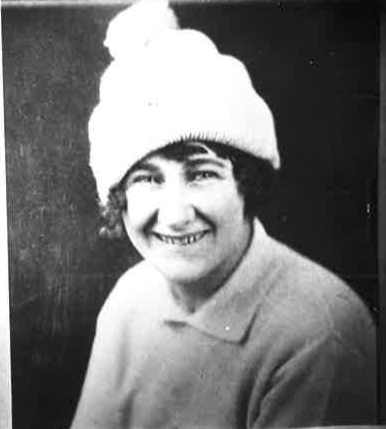 Sigrid was not only a great all-around skier but in 1931 she was an official during the Olympic Ski Team tryouts, sponsored regionally by the California Ski Association under direction of President Wendell Robie (also president of the Auburn Ski Club). It fell to him to call attention to the committee’s oversight of leaving out Sigrid’s name in 1966 – when the slate of “first champions” was proposed by the Sugar Bowl Ski Club and a unanimously endorsed resolution of the FWSA Directors. The latter of these acted on behalf of Sigrid’s posthumous nomination. Thorralf Stromstad – Silver medals in the 18-km and 50-km races of the 1924 Winter Olympics; more than 200 ski prizes including the Holmenkollen Medal in Norwegian, Swedish and Finnish competitions. Knut Stromstad – Well-known ski maker in Norway and winner of more than 250 prizes in jumping and cross-country including Norwegian championship and King’s Cup of 1923. Nora Stromstad – Winner of 120 ski prizes and an alpine competitor in the 1936 Winter Olympics, 14th in slalom and 11th in combined. Torborg Stromstad (twin sister of Nora) – Winner of 50 ski prizes in alpine racing, cross-country and ski jumping. She and her sister opened many jumping competitions on the big hills in the 1930’s. All the Stromstad brothers and sisters, including Sigrid, were members of the Fossum Sports Club in Baerum, near Oslo, also providing many famous Norwegians to America including Carl Howelsen, the Ski Hall of Famer who fathered ski sport in Colorado. As her sponsoring Auburn Ski Club pointed out. “Sigrid Laming was always a great ski sportswoman and a loyal and devoted member. Sigrid Stromstad Laming was elected to the U.S. National Ski Hall of Fame in 1972. If you notice any errors or inconsistencies in Sigrid Stromstad Laming's bio, click here to let us know.